What is now Portsmouth College started out as mash land on the edge of Portsmouth and was reclaimed in 1705. It was later to become a Boys Grammar school before becoming a comprehensive and then becoming a college. 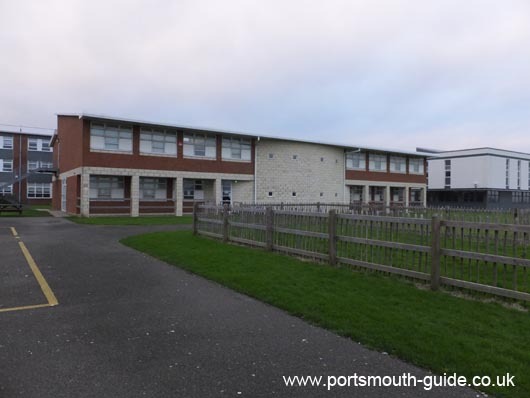 Portsmouth College provides a variety of courses from RSAs, GCSEs, A - Levels, NVQs and GNVQs in a wide range of subjects. The college has a new Computing and Library facility which has got a high speed network with Internet connections. There are a wide range of computer facilities available to students. The college has a good drama section which has its own studio theatre which has a sound and light system. The college provides education for anyone of any age and there are many subjects taught at the college including Physics, Chemistry, Biology, Geography, Leisure and Tourism and Drama. For a complete listing of subjects taught check out the college web site. The college is ideally located just off the Eastern road which provides an easy way to get to the college from inside and outside the city. The staff at the college are friendly and will help when they can. Not only does the college provide a good environment to work it also has some great views across Langston Harbour, over Portsdown Hill and a glimpse can be got of St Marys Church. 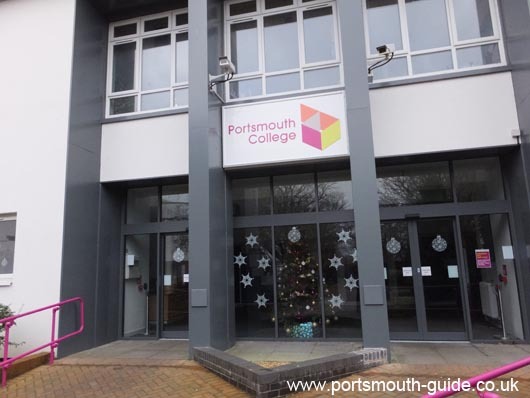 The Portsmouth College site is at www.portsmouth-college.ac.uk. This site gives a full listing of courses, staff e-mail addresses and information on how to enrol at the college. There is a Live Picture View from the top of the college looking over Portsmouth, why not have a look.